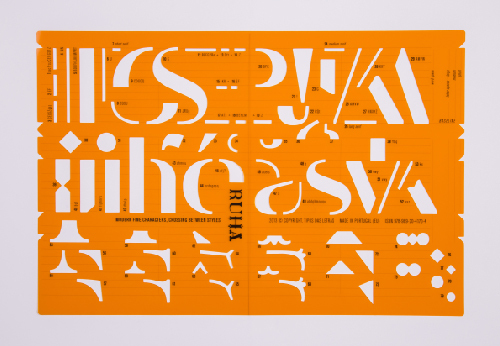 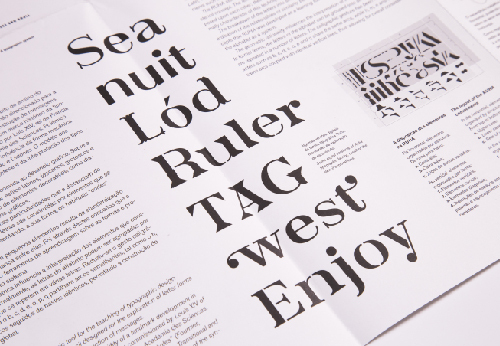 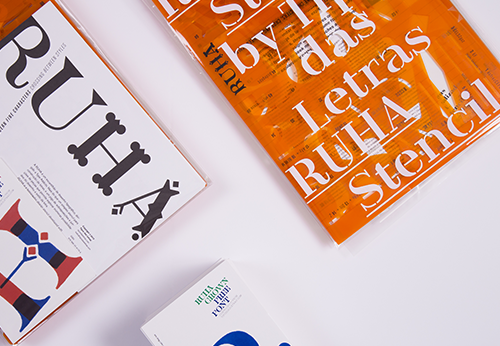 The RUHA stencil has a number of features that set it apart from the conventional stencil concept. 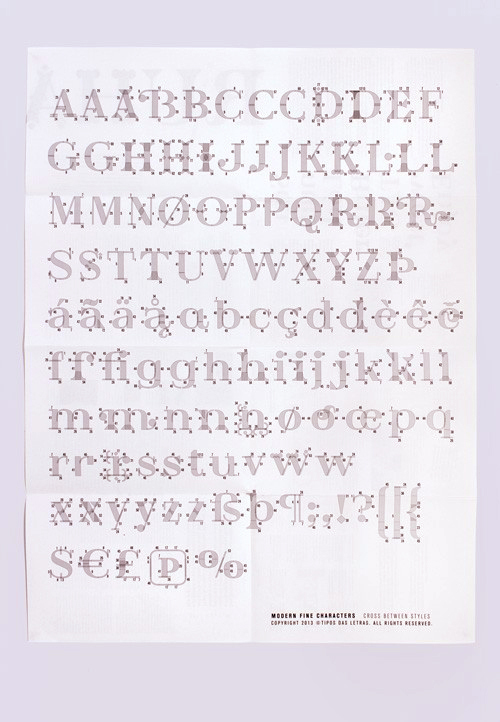 The letters are built using elements that are added on to or superimposed upon each other; their form may or may not feature the “cuts” that are normally characteristic of this technique. 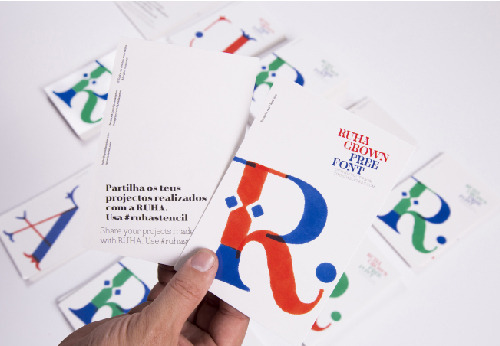 Ruha Stencil is a trademark of Tipos das Letras which may be registered in certain jurisdictions.